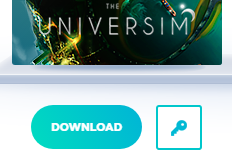 Each game has a different way to update depending on whether they have a Launcher like The Universim or need to be manually updated via the Crytivo Store. If your game uses a Launcher with an update option, then all you have to do is Open the Launcher and choose Update. Please keep in mind that each update can vary in how long it takes to update. Some updates may only take a few minutes while others could take much longer. It is not uncommon for an update to hang for periods of time. Normally this means the file that is updating is larger than some of the others. Please refrain from shutting down the launcher when this happens. Install the updated version and you are done! Live Chat is usually a faster way to get a resolution, but either way is fine to use.